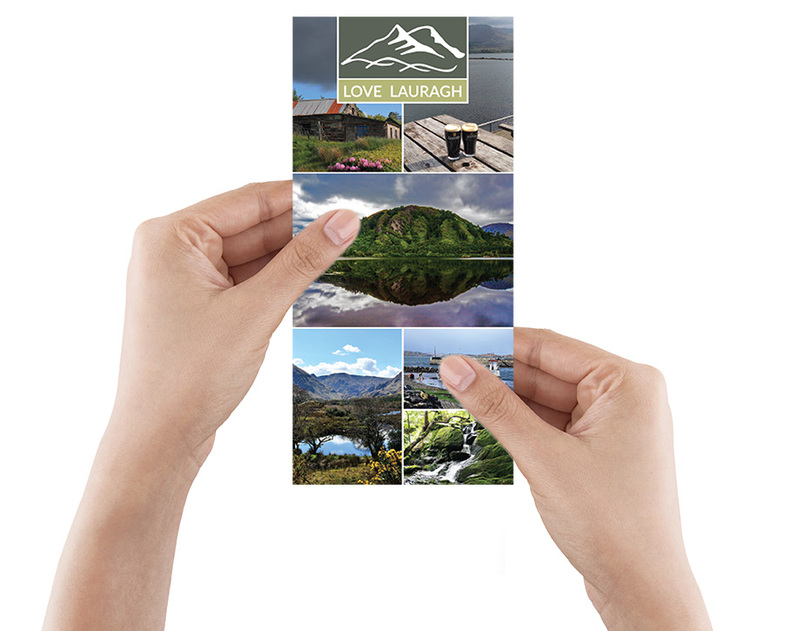 Love Lauragh is a great local group promoting the town of Lauragh in County Kerry on the Beara Penninsula. 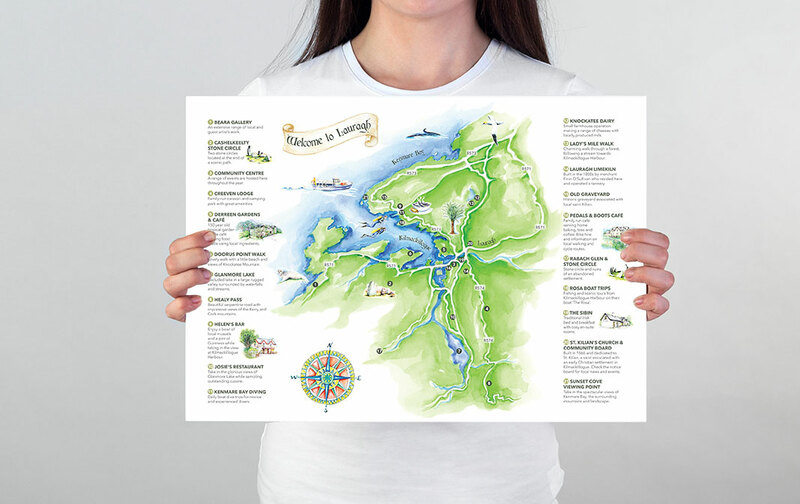 We designed an A3 folded to DL information map using illustrations from a local artist for Love Lauragh which aims to bring visitors to the area to experience all it has to offer from stunning scenery to historic amenities and family run businesses. 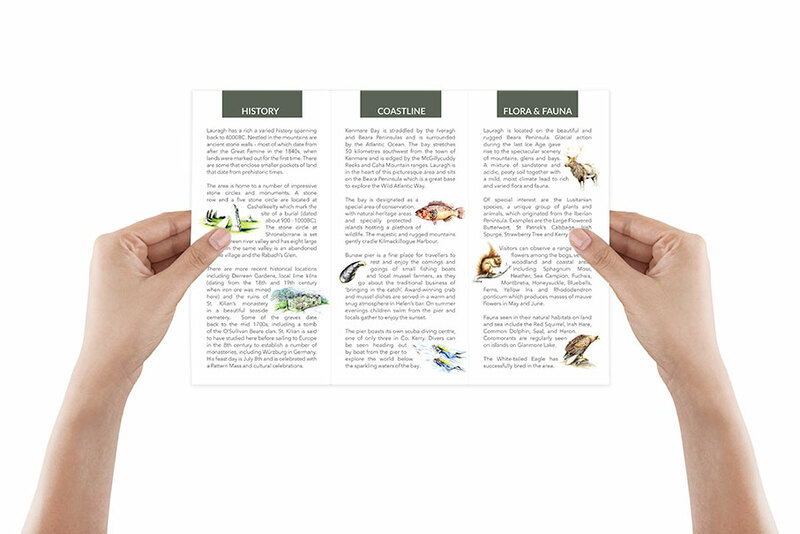 To compliment the printed brochure we designed a website to give the area an online presence. It was great to be involved in a local project supporting the regeneration of small, rural communities.